Home PREGNANCY TIPS Preventing Miscarriage: Is There Something You Can Do? Preventing Miscarriage: Is There Something You Can Do? For many women there is nothing worse than losing a baby and this is why they are looking for advice regarding preventing miscarriage. The truth is that there is no way to prevent a miscarriage, but there are some things that you could do in order to decrease the chances of it. If you start preparing in time, you can decrease the chances of a miscarriage. There are different steps that you can take, such as fertility cleanse. The main point of it is to cleanse the liver of the old toxins and of the excess hormones, cleansing the blood and the uterus of any tissue that has been left behind. If you would like to prevent miscarriage you have to make sure that you have a healthy diet. This way you can turn your body into a healthy surrounding for the baby. If you have a healthy diet you can increase the fertility of your eggs, treat hormonal imbalance, and create a healthy placenta. In the same time, the right diet can help you with preventing miscarriage, as it creates a nutrient storage for the little one and makes sure that you will have a healthy reproductive system. Make sure that you have a healthy diet for at least 90 days before trying to conceive for the best results. Women who want to avoid miscarriage have to make sure that they have all the basic minerals and vitamins. There are some that are important for hormonal balance, a healthy reproductive system and ovulation. 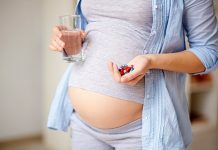 For the best effects, you should be taking prenatal multivitamins and also omega 3. To prevent miscarriage, you should make sure that the multivitamins that you are taking are whole food prenatal multivitamins. These vitamins should come with B6, folic acid and B12. Such a combination can help you decrease the chances of having a miscarriage. The fatty acids could also help with preventing miscarriage. Among these, the most important one seems to be omega 3 which has a word to say in fetal development. In the same time it helps with hormonal imbalances, inflammation and it can increase the fertility of the eggs. In order to avoid miscarriage one of the best things that you could do is to ask your doctor to screen you for STDs. In case such diseases are left untreated, they increase the risks of you having a miscarriage. The diseases to keep an eye out for include gonorrhea, HIV, syphilis and herpes. It is alright to exercise on a daily basis to prevent miscarriage, but you should do it in moderation. According to the specialists, too much exercise could increase the chances of a miscarriage because it increases the body temperature and it reduces the blood flow to the fetus. As you can see there is a you can do when it comes to preventing miscarriage and this way you can ensure the safety of the fetus.